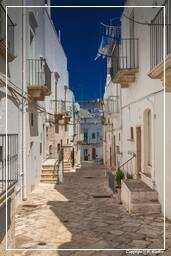 Locorotondo, in the Province of Bari, is known for its wines and for its round historical centre, from which derives its name, meaning “Round place”. 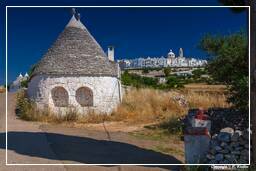 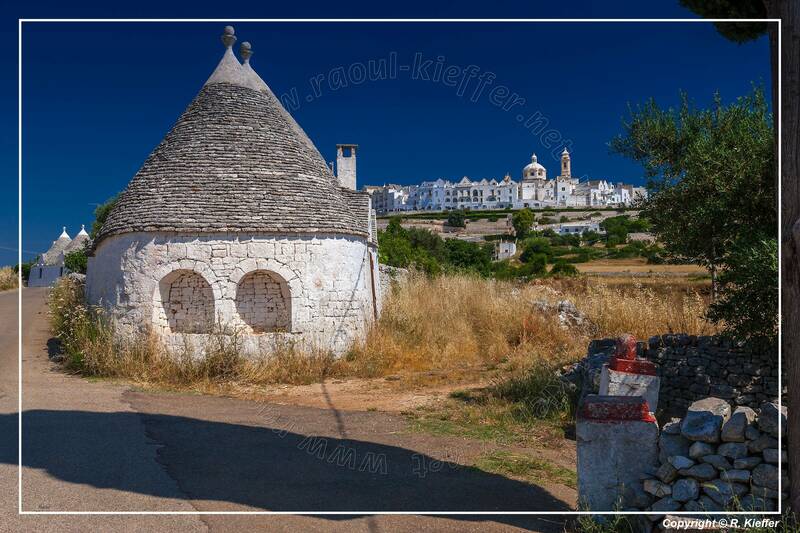 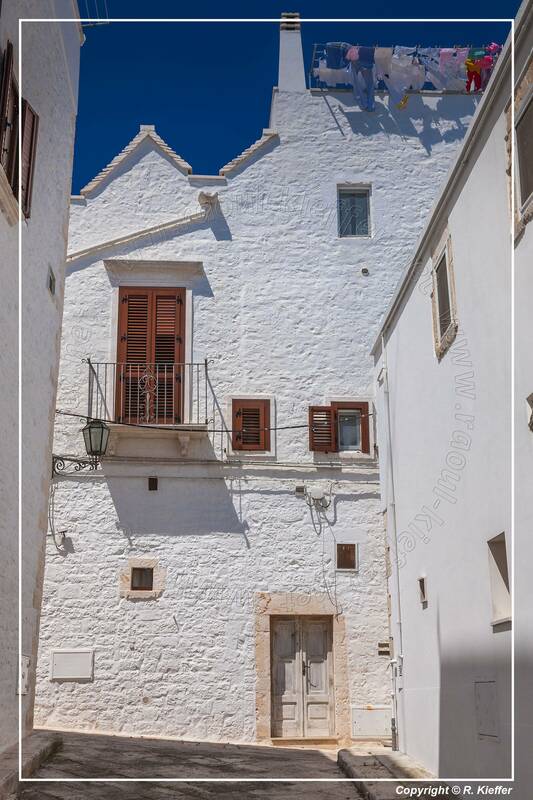 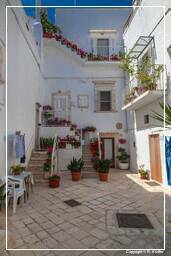 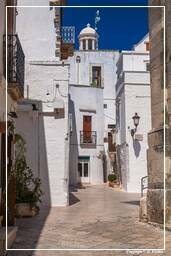 It is located in south-east Murgia, deep in the Itria Valley, dotted with white trulli. The site has been settled since ancient times, as testified by archaeological finds dating between the 3rd and the 7th century BC. 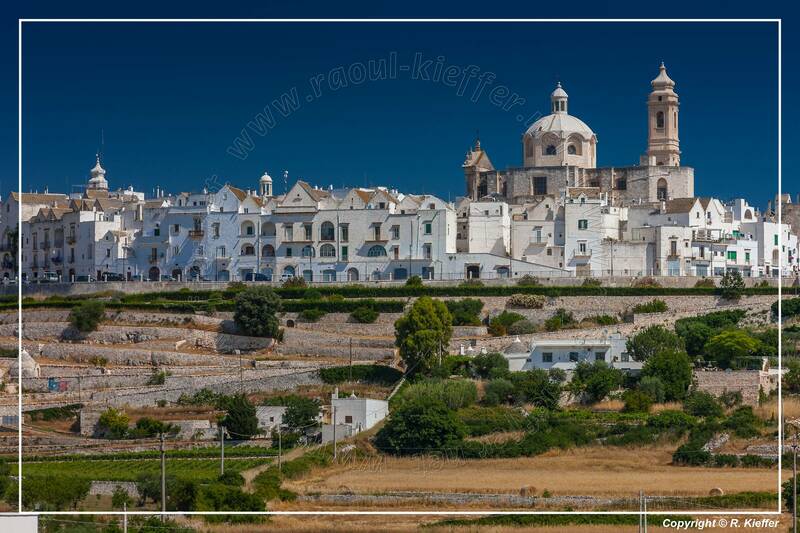 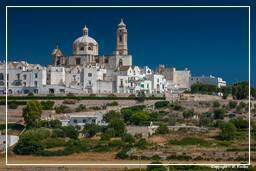 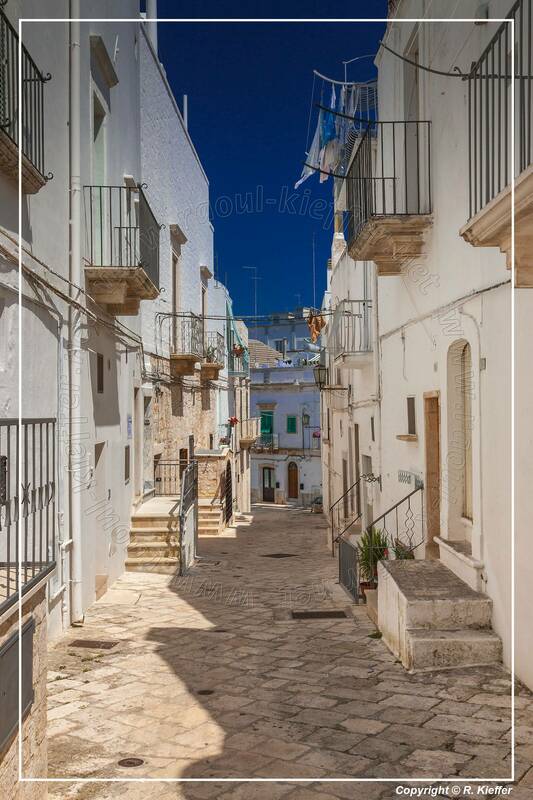 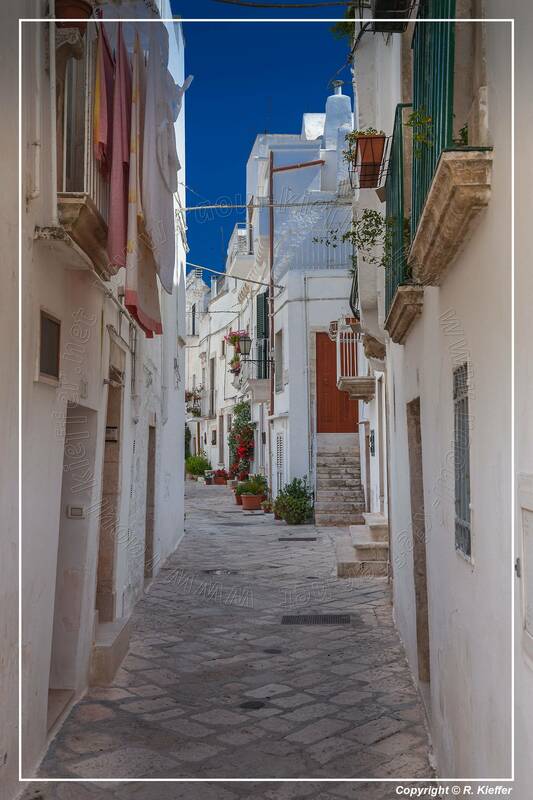 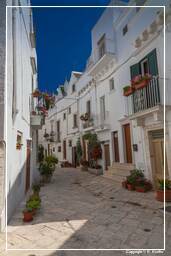 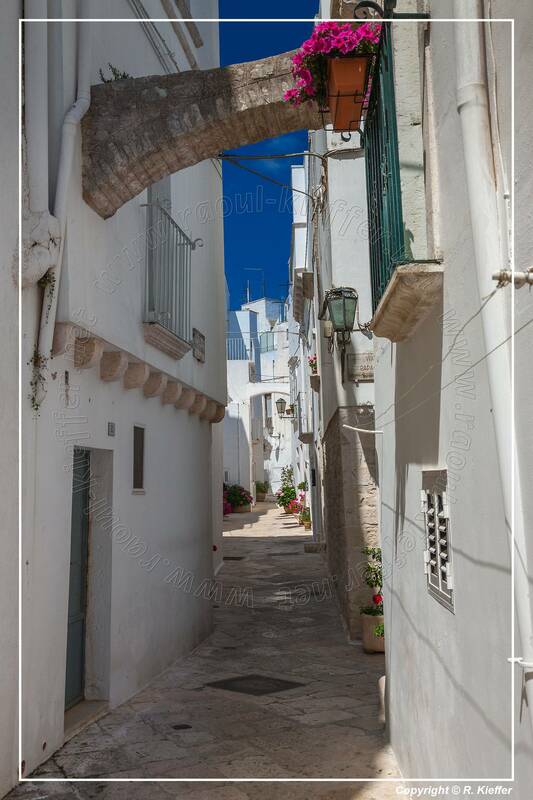 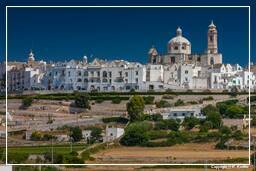 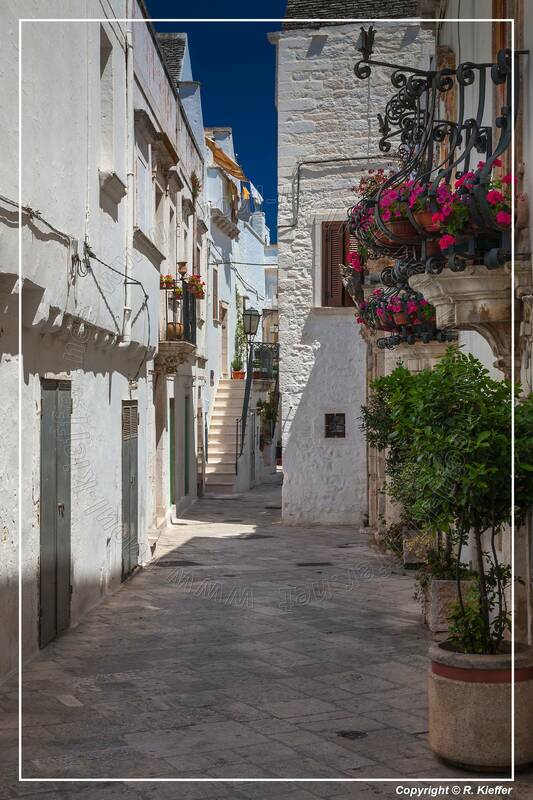 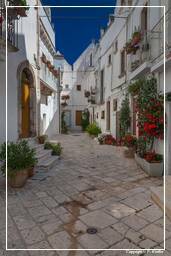 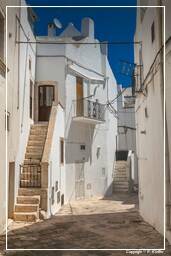 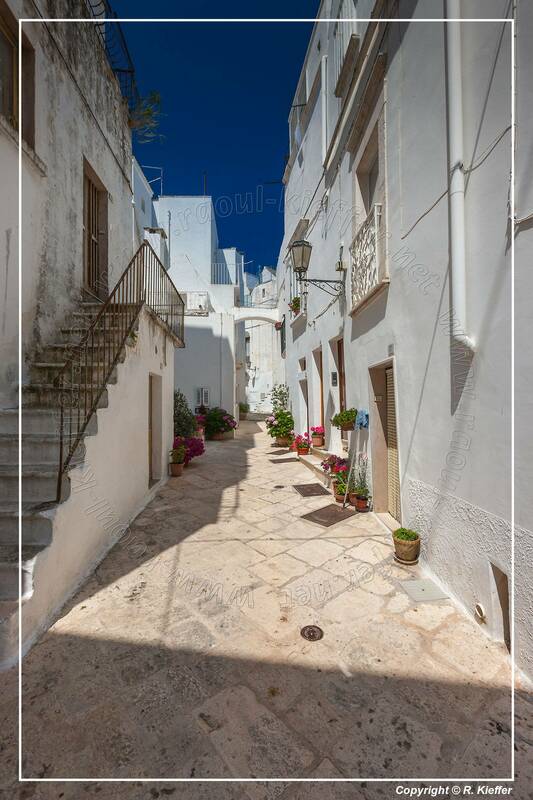 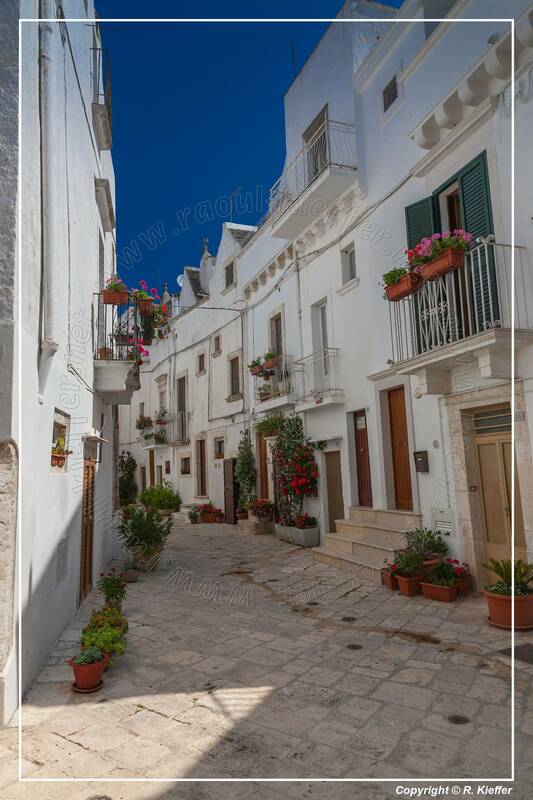 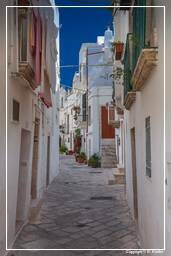 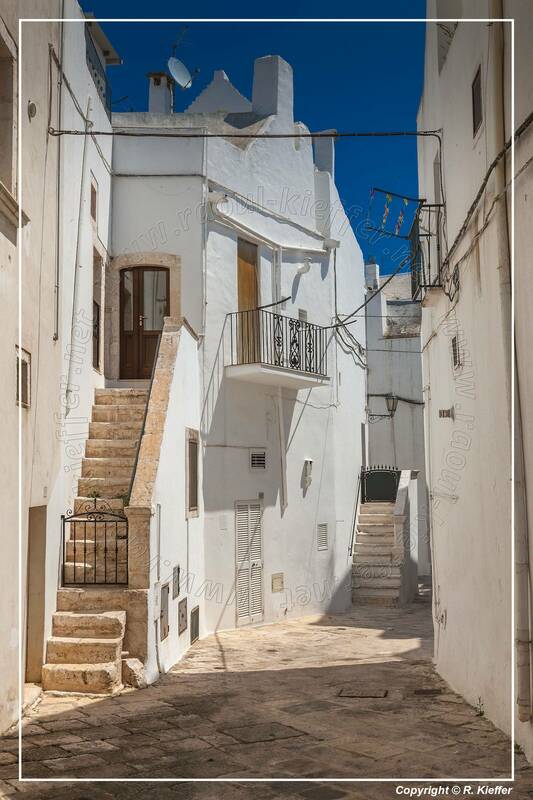 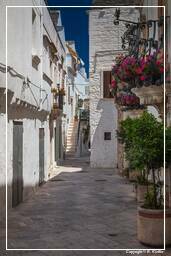 The foundation of a town dates back to around 1000 AD as an unfortified hamlet under the jurisdiction of the Benedictine monastery of St Stephen in Monopoli. The estate of various feudal lords for 500 years, it saw an increase in population, housing development, and the construction of the walls and castle. 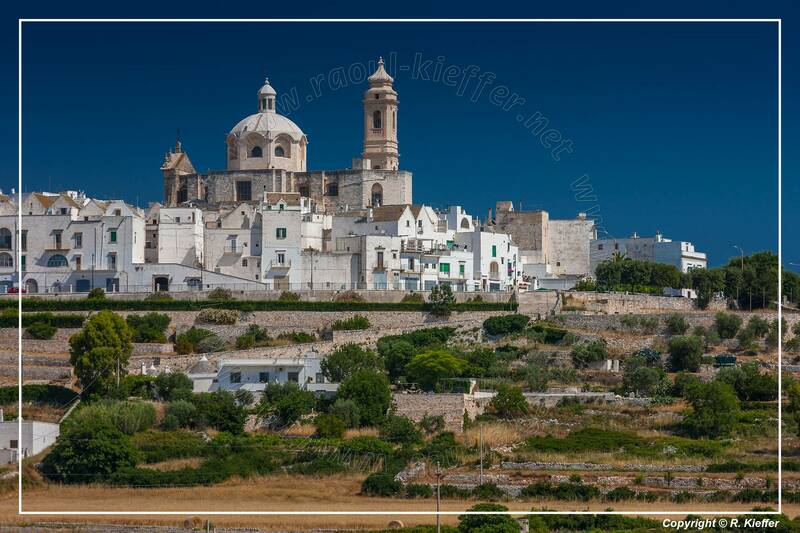 The Caracciolo family, Dukes of Martina Franca and the last feudal lords, remained in Locorotondo until the beginning of the 19th century.